New Inventory — Quality Van Sales, Inc.
All units are in stock and ready for immediate delivery! Call us today! Brand new! 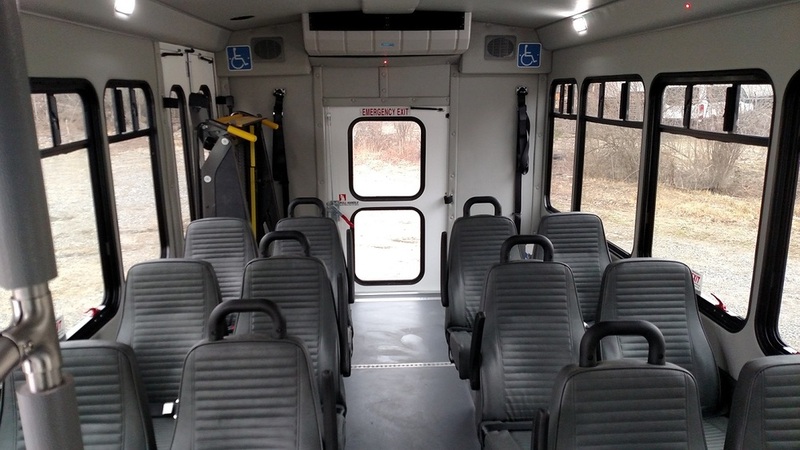 This 2019 Starcraft Xpress holds six passengers plus three wheelchair positions. Very spacious and well equipped vehicle perfect for transporting a small group. Call today to schedule an appointment to see what this shuttle has to offer! Brand new! 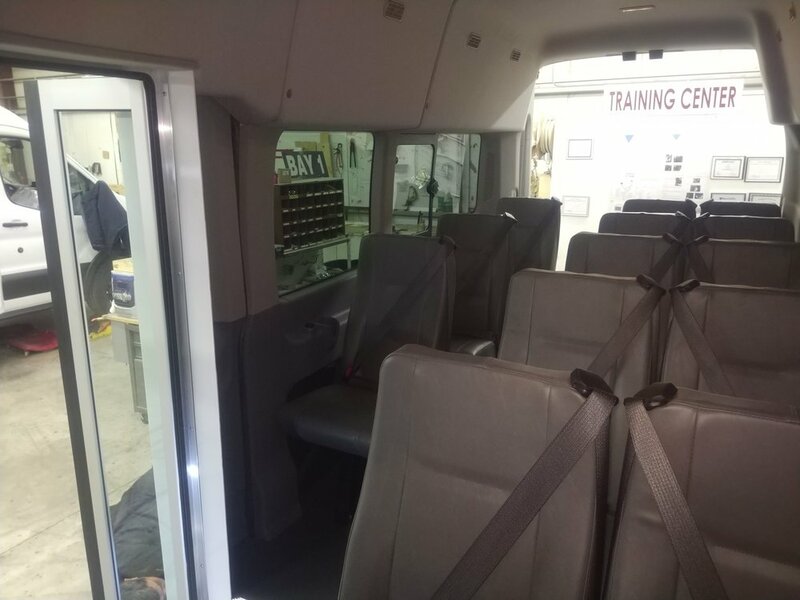 2019 Starcraft Allstar holds 20 passengers and 2 wheelchair positions. Very spacious and comfortable with slip resistant floors for optimal safety. Call us today to come in and take a test drive! Brand new! 2019 Starcraft Xpress with rear luggage. 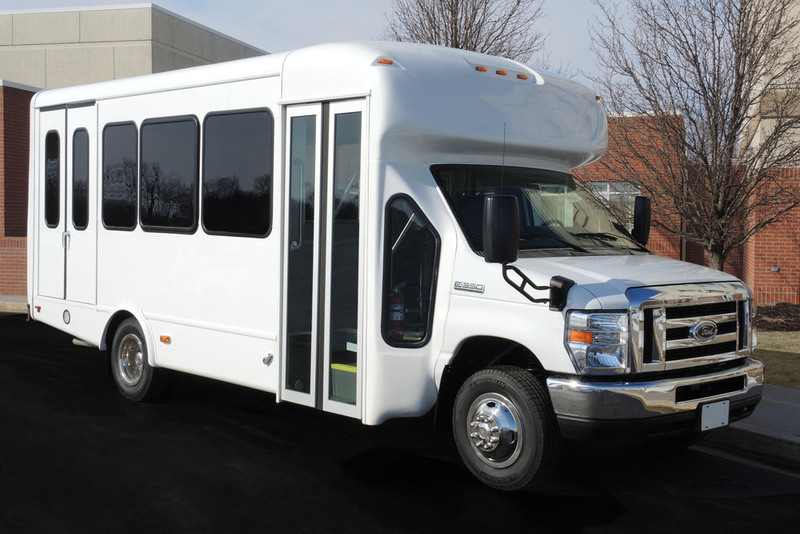 Holds 15 passengers and is built on the Ford E-series chassis making it durable and easy to maneuver. The Xpress boasts a wide-entry electric door, over 6 feet of headroom, standard seat belts and a variety of standard features . For safety and efficiency come test drive the Starcraft Xpress today! No CDL required. Brand new! 2019 Starcraft Allstar holds up to 12 passengers and 2 wheelchairs. Has a 93" interior width and is 80" tall from floor to ceiling. Walls are made of fiberglass for easy cleaning while ceiling and rear walls are fabric for sound abatement. Extremely safe and durable. Brand new! 2019 Starcraft Allstar holds up to 12 passengers and 2 wheelchairs. Extremely safe and durable. 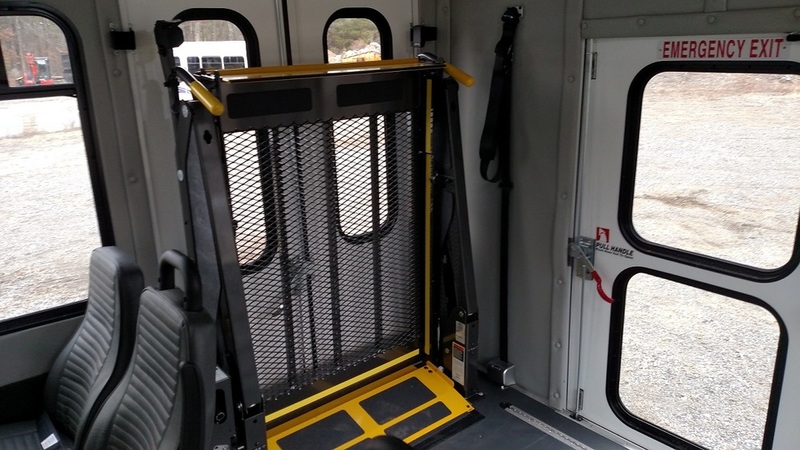 Electric passenger entry door is full length glass for easy visibility. Black slip resistant floor, entry step well lights and vertical passenger assist rail at entry door for increased safety. Take the opportunity to test drive today! side and Mor-Ryde suspension. A durable and safe unit, at a great price! Brand new! 2019 Starcraft Xpress holds up to 10 passengers and 2 wheelchairs. No CDL required and very spacious. Come by today and try it out! Brand new 2019 Starcraft Allstar. Holds 12 passengers and 2 wheelchairs. Very safe and durable vehicle. 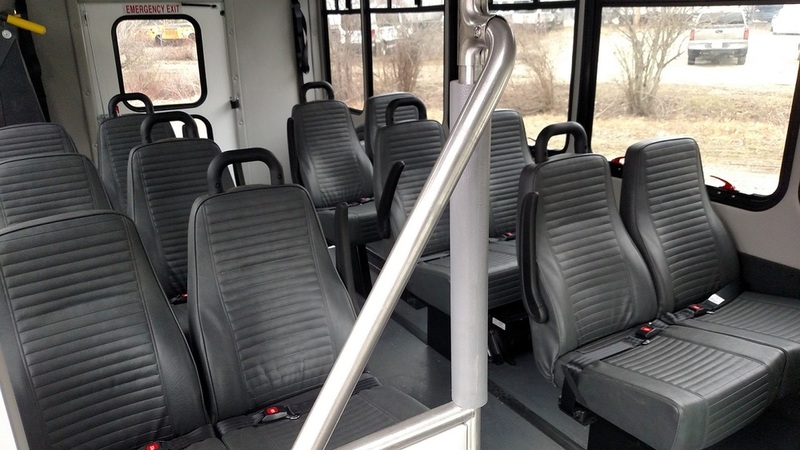 The 93" interior width provides plenty of shoulder room for all passengers. Call today to schedule an appointment! Brand new! 2019 Starcraft Allstar holds up to 25 passengers and the driver. Perfect for transporting a small group around with ease. The 93" interior width provides plenty of room for all passengers. Includes overhead luggage space and cloth seats. Extremely safe and durable vehicle. Call us today to inquire! Brand new! 2019 Ford Transit, with custom options to meet your specifications! These vehicles are available as a 150, 250 or 350 with different body and roof options for each size. For more information, click here to go to our Transit page!